accessorise your outfits with. I know there are definitely two sides to me, one who dreams of summer adventures, who is fierce and bold and loves exploring, crystal collecting and sleeping under the stars. I also have a softer side that loves everything pink and the comfort of home, marshmallows and my duvet. 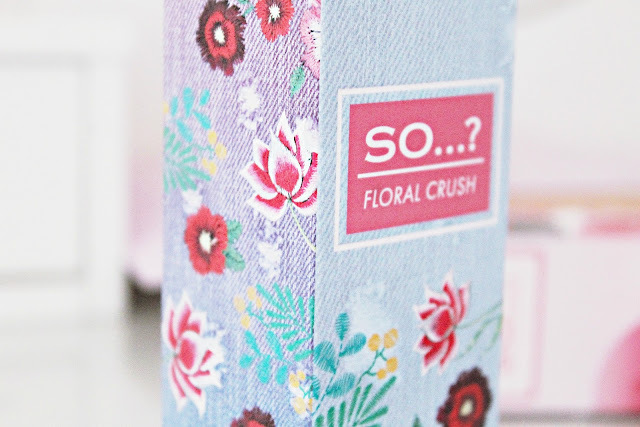 I just love the bottle and box design, they are so dreamy! I love the amount of detail on the boxes and the thought gone in to designing them, the denim texture and the little embroidered flowers. 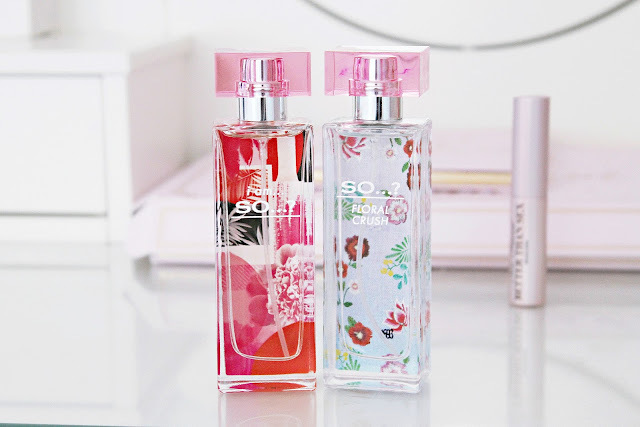 I feel like these are the perfect scents to treat yourself to if you're on a budget, without compromising on quality. Each EDP spray consists of 30ml, they retail for £6.99 each and there are four to choose from, you can find them all in Boots! First up is 'I am So...? ', a bold, unapologetic kind of fragrance that celebrates your individuality and oozes confidence. It's fresh, fruity and packs a punch with vibrant, fruity mandarin and orange blossom, though I can detect fresh peaches and all kind of tropical fruits. You'll definitely stand out wearing this, it exudes summery vibes. This definitely lasts just as long, if not longer, compared to high end scents, around 3-4 hours, although it does tend to fade to a muskier scent as time goes on. For me, for the price, that's seriously amazing! So...? 'Floral Crush' on the right is softer, quieter, yet it lasts equally as long and the throw is just as strong. It is a delicate, milky fragrance, smelling of watermelon and a hint of coconut, and contains notes of crisp apple and waterlilies, with rose, red magnolia and white peony, complimented by pink pepper and blackcurrant. This is more of a winter-spring fragrance for me, it's really feminine and perfect to wear to a tea party. I think I would like both fragrances, however the way you describe "I am so...?" appeals to me more! Hey There. I found your blog just now. This is a really well presented..I will make sure to bookmark it and come back to read more of your useful information. Thanks for the post.I’ll definitely return. I think this is engaging and eye-opening material. Thank you so much for caring about your content and your readers. Thanks for news. Cool math games for kids and everyone. Enjoy brain training with math and logic games, math games. Cool math games run 3 fun : Use the up arrow to jump, the left arrow and the right arrow to control the direction. The speed and difficulty of this game will gradually increase.